Archivematica is a free and open-source digital preservation system that is designed to maintain standards-based, long-term access to collections of digital objects. Archivematica is packaged with the web-based content management system AtoM for access to your digital objects. Archivematica provides an integrated suite of free and open-source tools that allows users to process digital objects from ingest to archival storage and access in compliance with the ISO-OAIS functional model and other digital preservation standards and best practices. All of the Archivematica code is released under a GNU Affero General Public License and Archivematica documentation is released under a Creative Commons Attribution-ShareAlike 4.0 International License. The goal of the Archivematica project is to give archivists and librarians with limited technical and financial capacity the tools, methodology and confidence to begin preserving digital information today. The project has conducted a thorough OAIS use case and process analysis to synthesize the specific, concrete steps that must be carried out to comply with the OAIS functional model from Ingest to Access. 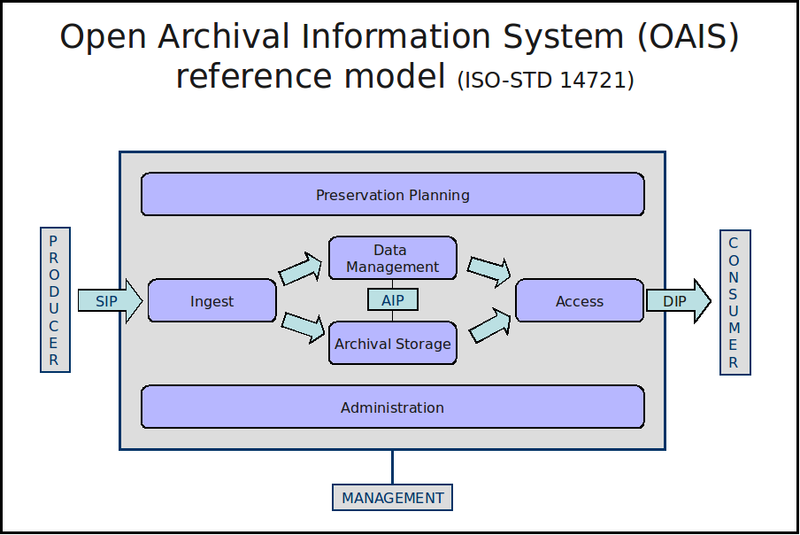 Through deployment experiences and user feedback, the project has expanded even beyond OAIS to address analysis and arrangement of transferred digital objects into SIPs and allow for archival appraisal at multiple decision points. Wherever possible, these requirements are assigned to software tools within the Archivematica system. If it is not possible to automate these steps in the current system iteration, they are incorporated and documented into a manual procedure to be carried out by the end user. This ensures that the entire set of preservation requirements is being carried out, even in the early, pre 1.0 system releases. In short, the system is conceptualized as an integrated whole of technology, people and procedures, not just a set of software tools. For institutions that want technical assistance to install and customize Archivematica, optional technical support services are provided by Artefactual Systems. All of the software, documentation and development infrastructure are available free of charge and released under AGPL and Creative Commons licenses to give users the freedom to study, adapt and re-distribute these resources as best suits them. Rather than spend precious funding on proprietary software licenses that restrict these freedoms, the Archivematica project encourages memory institutions tackling the challenges of digital preservation to pool their financial and technical resources in projects like Archivematica to maximize their long-term investments for the benefit of their colleagues, users and professional community as a whole.